What needs to be done to improve survival rates from this aggressive cancer? The Bone Cancer Research Trust (BCRT) reported recently that survival statistics for primary bone cancer (cancer which starts in the bone) remain at 54%, the same level they have been at for the past 25 years. To try and improve these statistics they are calling for earlier diagnosis by GPs. To assist with this aim BCRT are working with the Royal College of GPs to launch a new e-learning module for GPs to help them spot the symptoms of bone cancer which will hopefully lead to earlier investigations being undertaken and ultimately the diagnosis being made earlier. BCRT report that the average length of time it takes for a diagnosis of primary bone cancer is 16 weeks from first symptoms. This is an extremely long time when put in context that a simple X-ray is sometimes all it takes to make a provisional diagnosis of bone cancer. As medical negligence solicitors, we are sometimes consulted by clients who have been diagnosed with bone cancer and are concerned that it was not diagnosed promptly enough. They report symptoms being dismissed as musculoskeletal injuries or, in young patients, growing pains. 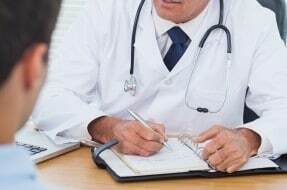 In such cases if it can be established that the GP did not provide acceptable treatment in light of the presenting symptoms, for example failing to refer the patient for further investigations, then the patient would be able to make a bone cancer misdiagnosis claim. We welcome the campaign to improve the timescale within which bone cancer is diagnosed. Whilst it is thankfully a rare condition, it is reported to be one of the more aggressive cancers and therefore any delay in diagnosis of bone cancer can make a significant difference to the outcome for the patient. Our experience is that it is not only GPs who would benefit from further education in relation to the diagnosis of bone cancer. One of the primary responsibilities of the GP is to ensure, if the condition is suspected, that further investigations are carried out and a referral is made to a specialist team. It is therefore vital that once that referral is made that appropriate investigations are carried out and the correct diagnosis made as early as possible. We acted for a 14 year old boy who was referred to hospital with suspected Ewing’s Sarcoma in his left leg after he reported suffering pain in the leg. Tests were undertaken yet the conclusion reached was that he was suffering from infection. This went on for 4 months, during which time he suffered increasingly excruciating pain in his leg, until he was finally diagnosed with Ewing’s Sarcoma, an aggressive form of bone cancer. He required urgent chemotherapy. Even though the delay of 4 months may not seem like a long time, unfortunately in that time the cancer had spread to his right leg and our client required much more aggressive chemotherapy than he would have required if the diagnosis had been made promptly, and this also had the effect that he would probably be infertile. All medical practitioners need greater awareness and a lower threshold of suspicion for bone cancer when a patient presents with relevant symptoms and not too easily dismiss the symptoms as due to other less serious causes. The simple investigations also need to be carried out as early as possible to speed up diagnosis and improve the patient’s chances of survival. If you have been diagnosed with any form of bone cancer after symptoms being dismissed for any period of time then please call for further advice.